GAME NEWS: Epic Release New 'GEARS OF WAR 3' Trailer That Shows Off Horde 2.0! Epic have released a new trailer for Gears of War 3 that shows off the Horde 2.0, which is making its return from the second game in the series. The mode consists of fighting numerous waves of oncoming enemies with increasing difficulty, one of the most intense experiences the game has to offer. The Game will also include a four player co-op campaign and introduces for the first time three playable female characters into the franchise, Samantha Byrne, Anya Stroud & Bernadette Mataki. 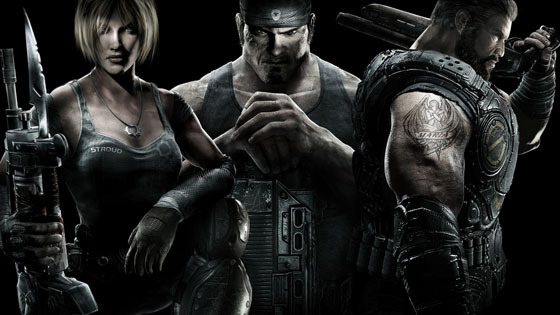 Gears of War 3 releases September 20th exclusively for Xbox 360. Hit the jump to check out the details. Synopsis: "Eighteen months after the fall of Jacinto, the Gears have moved to the island of Vectes and are living aboard a converted aircraft carrier called the Raven's Nest. The government disbanded and the imulsion that powered Sera's cities has infected and mutated members of the Locust, causing them to become Lambent. The Lambent are evolving into a new enemy that threatens both the Locust and humanity. The Stranded also live on the island along with other survivors from E-Day." I'm reading: GAME NEWS: Epic Release New 'GEARS OF WAR 3' Trailer That Shows Off Horde 2.0!Tweet this!